Friarsgate Development - time to reconsider? What's YOUR take? What are YOUR ideas for Friarsgate? We'd love to hear from you. With the original plans for the Lichfield Friarsgate development now in ruins, Miles Trent has spoken on behalf of the Lichfield Liberal Democrats on the subject, and presented some ideas for the future. Lee Cadwallader-Allan has lived in the Lichfield and Burntwood area for twelve years, married, with his extended family living nearby. Following his graduation in 2005 from Keele University, Lee, a native of Shropshire, has always worked in the Midlands. He has worked in the NHS for the past ten years, in an acute hospital, a mental health trust, and his current post as a management accountant is with NHS England. "I am passionate about health and social care. My professional experience enables me to campaign effectively for our vital local health and care services," Lee says. He is a member of the local Quaker community, and is active in the community on issues such as equality, justice, and peace, including such matters as adequate public transport services, and affordable housing in the Lichfield area. "We must not let cuts to local government funding hit those who are relying on the services provided by the Council," he says. "Any cuts must be applied fairly, and should not have a disproportionate impact on those in need." 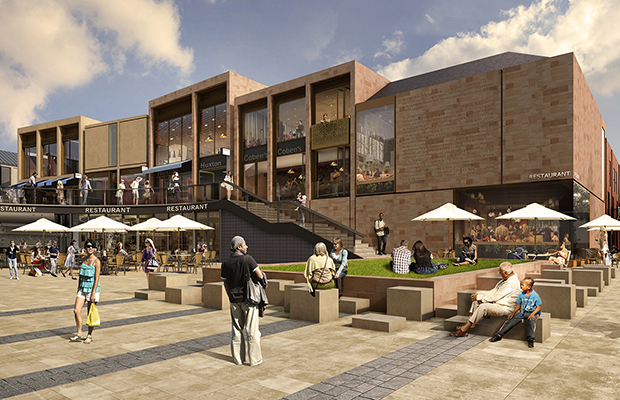 The long-awaited city centre redevelopment scheme for Friarsgate collapsed last week after the Cabinet at Lichfield District Council voted against footing a £49million bill to ensure it went ahead after private funding failed to materialise. Lib Dem councillor Paul Ray insists the council cannot let the land blot the city's landscape for too long. He adds: "We are now in a total mess and there are serious questions for Cllr Mike Wilcox and the Conservative administration of Lichfield District Council to answer. Crown ward is on the edge of Staffordshire, south of the River Dove. It covers the villages of Hanbury, Draycott and Marchington. The by-election in this safe Conservative seat was caused by the resignation of the previous councillor. Once again, the Conservatives held the seat. This was the first time this century the Liberal Democrats stood a candidate in Crown ward. The party managed to deliver a leaflet to almost all of this very spread out ward. Many thanks to those who were generous with their time. The response on the doorstep was fairly encouraging and that was reflected in a promising result, almost taking second place in a previously uncontested area. Michael Pettingale is to be the Liberal Democrat candidate for the by-election on June 7th. He lives locally and at the moment volunteers at Citizens Advice and works shifts at Uttoxeter Racecourse while training to become a lawyer. Michael says: "The Liberal Democrats just enjoyed a promising set of local election results because of our reputation for hard-working and responsive councillors and the open and outward-looking approach we take to politics. This is the first time a Lib Dem has stood in Crown ward for very many years. On June 7th, I am asking if you would join with others switching their vote to the Liberal Democrats. Air Quality - Tamworth Council Planning for Failure? Another day, another traffic jam on the A5. 👍🏻We need more housing but we must invest in infrastructure first. Jeyan Anketell and other local Liberal Democrats attended the mid-December briefing given by Helen Scott-South (Chief Executive Officer of Burton hospitals NHS Foundations Trust) about the proposed merger of the Burton Hospitals and the Derby Teaching Hospitals expected then to be fully operational by 1st April 2018.